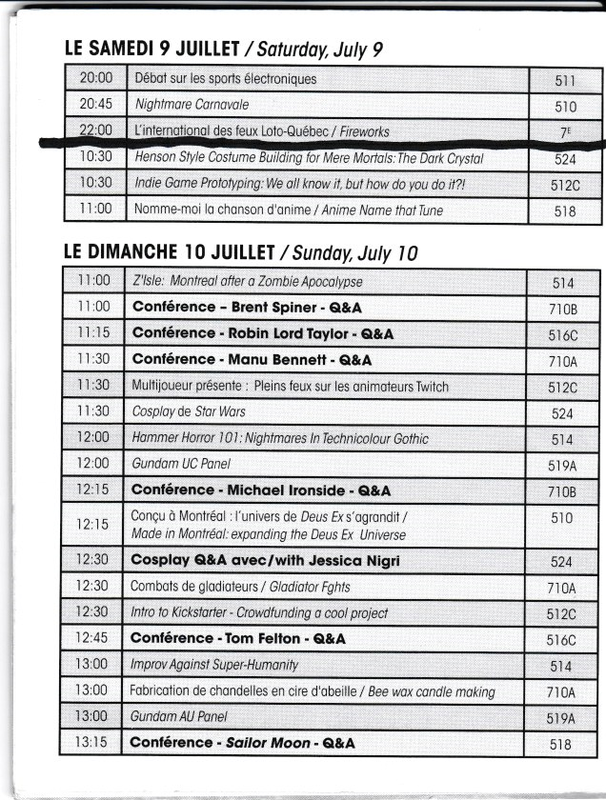 It was a great weekend at Montreal Comiccon and would like to thank everyone who made it to my panels ‘Mythology & Symbolism of the Dark Crystal: Henson’s Middle Earth’ and ‘Henson Style Costume Building For Mere Mortals: The Dark Crystal’. I must also apologize to those who wanted to see the costume building one and didn’t get to due to a schedule mixup. This was my third year doing the panel at both Ottawa and Montreal Comiccon. 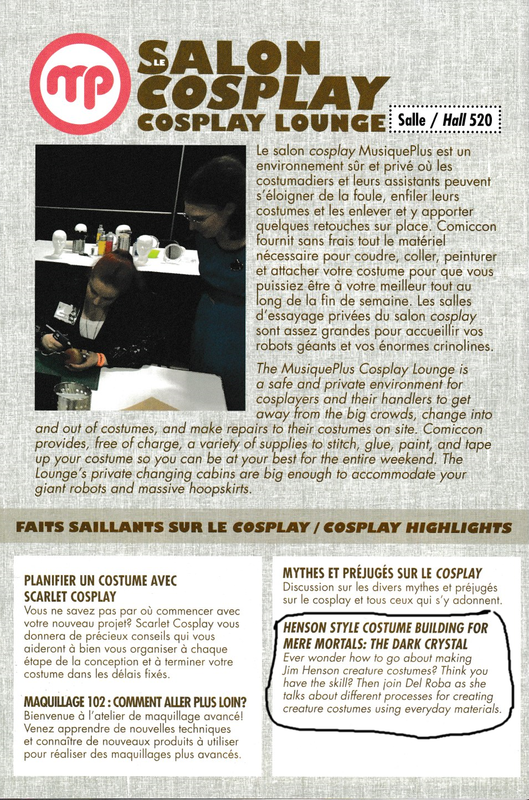 I arrived at Con and was very surprised, and honored, to discover that my little panel had made the cosplay highlights in the convention guide, and they’d given me one of the really big conference rooms. Usually I get a good crowd at this panel and manage to fill one of the small conference rooms. So needless to say I was expecting more people than usual due to the guide mention etc. This time I got less than I usually do and wondered why. It was showing as 10:30 Saturday night and not 10:30 Sunday morning! I’ve drawn a line that shows where the break between the days should have been in the print schedule. So to any of you who may be reading this that had wanted to see the panel, I am very sorry. Especially to the wife of the guy I met that said my panel had been the main thing she wanted to see all weekend. Seeing as I’ve done this panel three years in a row hopefully they’ll have me back next year to do it again.